Edo-era ukiyo-e master Utagawa Hiroshige captured the splendour of this oasis by the Shakujii River in one of his paintings, confirming its popularity as one of the old city’s ‘One Hundred Famous Views’. 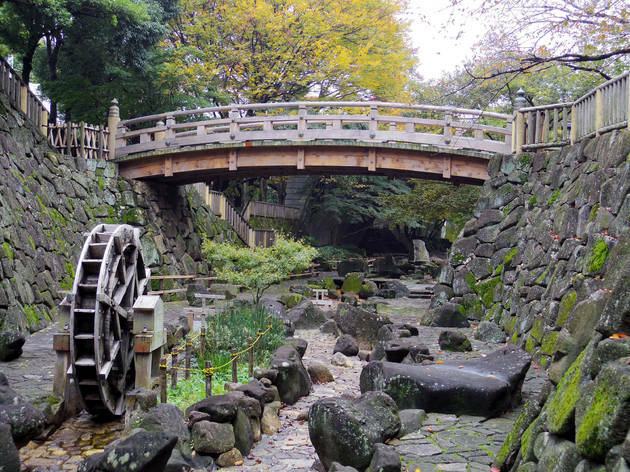 Tastefully rebuilt by Kita Ward in 1988, the rocky park is a great relaxation spot right next to Oji Station and is especially charming at night, when the lanterns come on and the arched bridge in the middle of the park provides a romantic setting. 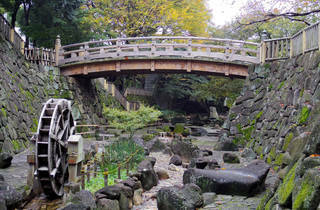 When visiting, make sure to also check out nearby Oji Shrine.